Last week, Planet Mars was in its closest position to our planet earth for the first time since 2003. If you had looked to the sky at night then, you may have seen a shining red dot appearing amazingly. 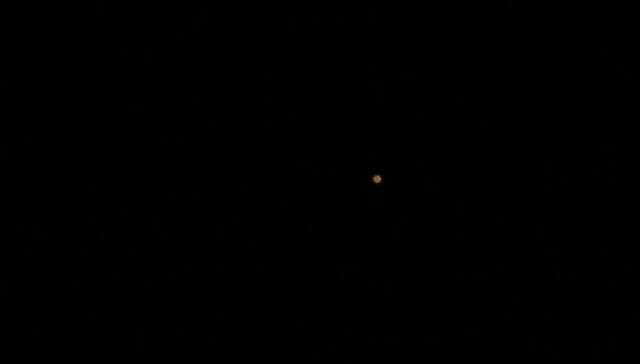 That’s our neighbor Mars and I could not resist the opportunity to capture it in a photo. I do not have a telescope right now “ I am thinking of getting one” and I do not have a telephoto zoom lens “Lenses’ prices reach Planet Pluto since the Egyptian pound flotation ” so I tried to do it using my zoom lens “55-210mm” despite I know in advance. The results are not great but let’s remember that I got a 210mm lens trying to capture a planet that is 225 million kilometers away from me or actually from earth. A little small red sparkling ball Mars appeared in the skies of Cairo and Giza that night. 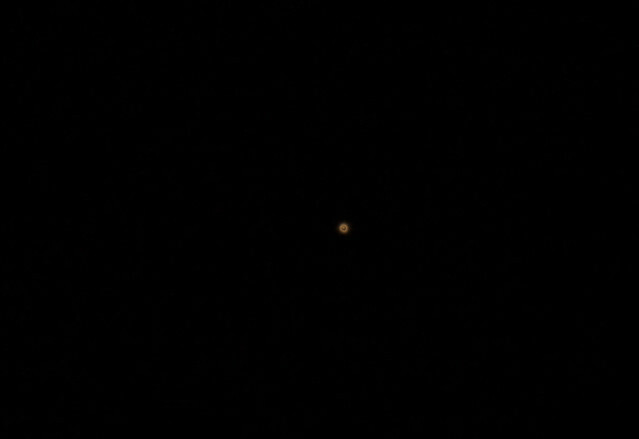 At first, I thought it was an airplane passing by at night but it did not move and I know that I was looking at that red planet. The red planet was crystal clear in the city lights that it did not matter if all the lights were buzzing in the street. Now a little important historical fact that it is not trivial at all. According to some historians, Cairo was named in Arabic "El-Qahira" in reference to Mars' name in Arabic "El-Qahar", "the conqueror". Cairo is named after Planet Mars in Arabic, oh yes. The story goes that the co-founder of Cairo Fatimid Caliph El-Muiz Li Din Allah brought the astrologers and astronomers as it was the custom in that age to see which star or planet appeared in the sky so they would name of new cities after it. It was Mars appearing in the night as a big red that night. Mars’ original name in old times in Arabic was “El-Qahar”, the Conqueror and it does not need a historian to know that the name had a relation with the myths surrounding Mars and its color with wars. For some reason, the astrologers warned El-Muiz not to name the new capital after El-Qahar but he insisted to name it “El-Qahira” and it became one of the biggest and most surviving capitals after all in the world. By the way, I will seize the moment and share with you that failed attempt of recording a time-lapse video for the lunar eclipse Egypt and the Middle East saw from several days ago.